Capcom has doled out a new round of details for Mega Man 11, revealing a new Robot Master, modes, and crafting mechanics. The new boss is Blast Man, the latest in a long line of explosive-themed Mega Man bosses. 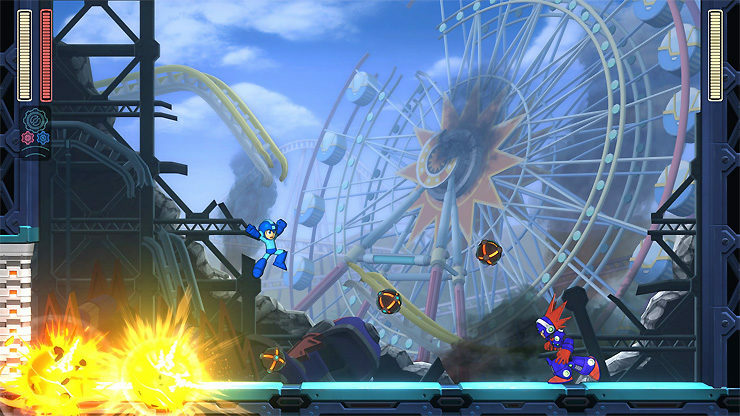 Blast Man’s stage is a bit more unique, as it takes place in a ruined theme park/movie studio. 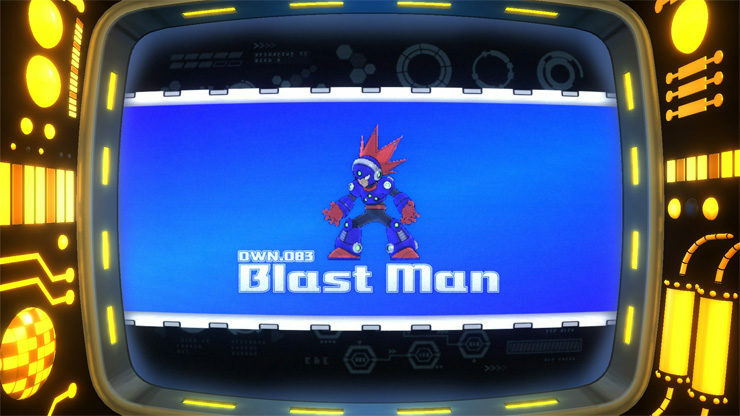 You can check out a few screenshots and description of Blast Man and his stage, below. Introducing Blast Man, a Robot Master with a flair for the theatric… and a taste for explosions. Lots and lots of explosions. This Robot Master is clearly on a short fuse, and it shows in the design of his stage: the ruined remains of a theme park and movie studio hybrid that Blast Man has shaped into his personal playground. He’s added several personal touches, including a number of signs featuring himself as the star of “Blast Man Adventure.” It seems like Block Man isn’t the only one with a narcissistic streak! 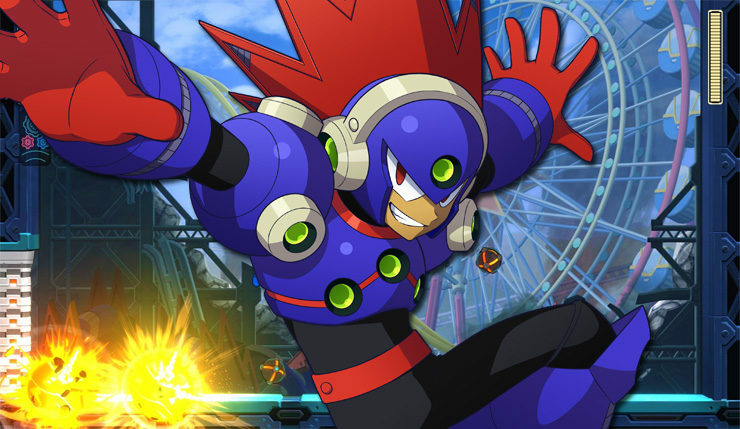 Successfully dodging the bangs, booms, and bots of Blast Man’s stage will bring you to the Robot Master himself, whose short-fused nature is apparent by what’s left of the amusement park in the background. 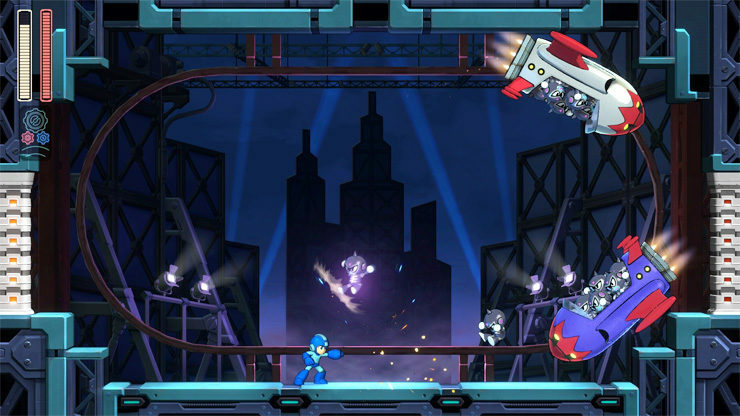 Taking cues from his bomb-tossing predecessors, Blast Man hops around the room while slinging explosives everywhere in his attempt to turn Mega Man into scrap metal. Your reward for defusing this volatile Robot Master is Chain Blast, a unique weapon that floats bombs across the screen that stick to enemies along the way. As the name suggests, you can chain together multiple bombs and detonate them all at once, or use the Power Gear to create massive explosives for even bigger blasts! 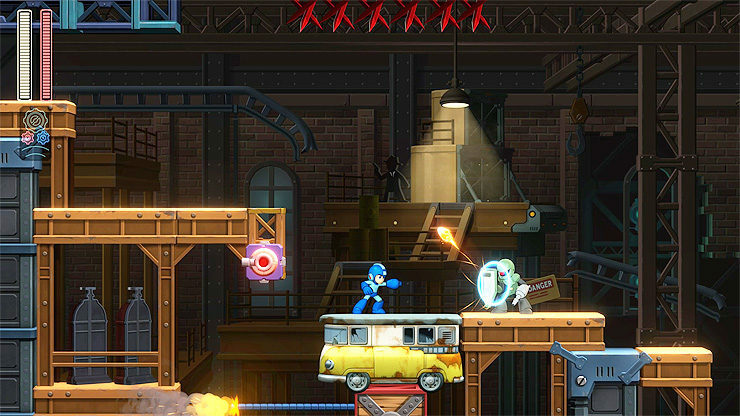 Capcom has also revealed two additional ways to play Mega Man 11. 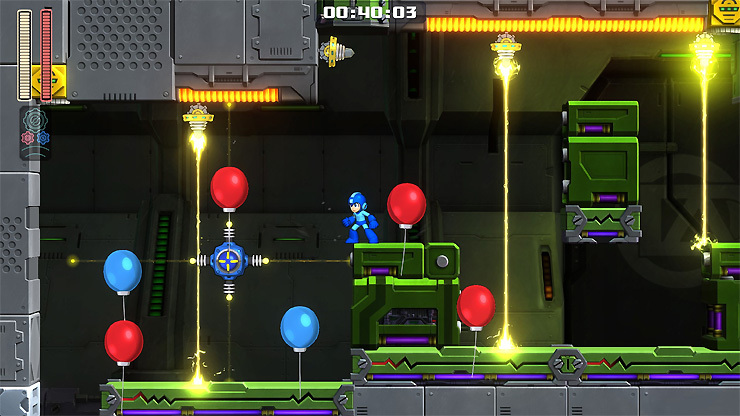 Time Attack pretty much is exactly what it sounds like, while Balloon Attack removes all enemies, replacing them with blue and red balloons — the goal is to burst the blue balloons, while avoiding the red ones and record the quickest time possible. 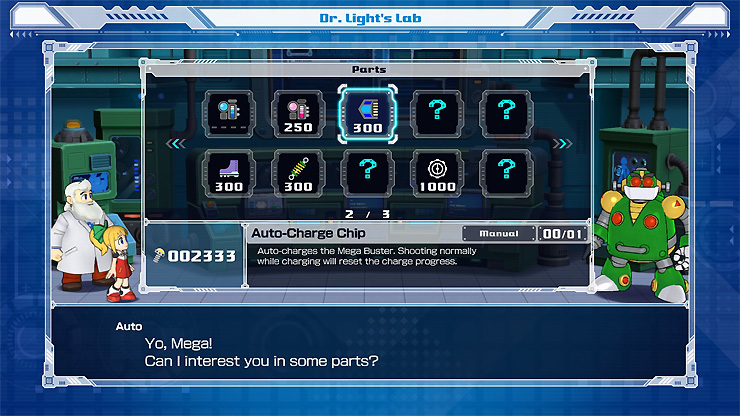 Finally, Mega Man 11 will also have a crafting element. Enemies drop bolts, which you can use at Dr. Light’s Lab to make power-ups and permanent upgrades. Between the traditional Robot Master Special Weapons, Double Gear system, and crafting, it seems like the Blue Bomber is more versatile than ever. Mega Man 11 leaps onto PC, Xbox One, PS4, and Nintendo Switch on October 2.